To win attention from customers, inject news into your content marketing. News freshens your content dramatically. Make sure your content reflects what’s happening with your industry, company and customers. Start by curating industry, company and competitor news on your social media streams. Write newsy blogs that tie into current news stories. Even evergreen content wins new attention when you add today’s news hook. Tie content to news through newsjacking. 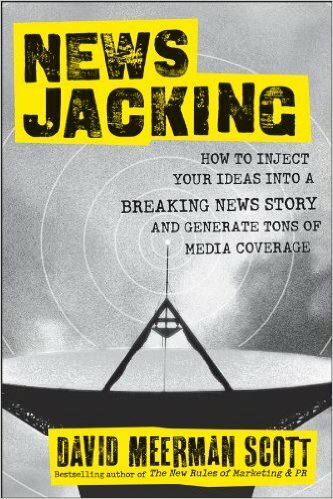 Newsjacking means just as it sounds: you hijack a news or trend story to gain media and customer attention for your brand. Successful newsjacking requires you to monitor news in real time, anticipate future events, improvise, and set up an instant-approval process. David Meerman Scott, author of the book Newsjacking, shares a story about how an Australian insurance company won news coverage by writing a gimmicky insurance policy and publicizing it through a news release. When President Obama visited Australia, the company issued a news release, offering Obama free insurance against a crocodile attack. Since all the news media was writing about Obama’s visit, that gimmicky story generated outsize news coverage for TIO. 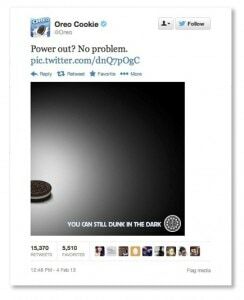 Oreo newsjacked the Super Bowl power outage to win attention. When the whole country is watching, even a power outage can be newsy. To pursue newsjacking, make a comprehensive list of upcoming events that are expected to occur in your industry — those that affect your company, your customers and even your rivals. If these events have firm dates, add them to your content calendar, prepare and be opportunistic. If the event dates are uncertain, think through the news angles in advance and prepare as much as you can. Here’s an example. When I worked at a predecessor of today’s AT&T, we learned that a judge would rule soon on whether our company could compete in a new market. Not only would the verdict affect us, but it would also affect 6 peer companies and all our competitors. Yet, we didn’t know when the ruling would come. To prepare, we anticipated a range of three outcomes – a win, a loss or a mixed verdict – and pre-prepared quotes from our CEO accordingly. As news of the judge’s decision broke, we scrambled to modify one of the 3 draft statements in real time. As I typed last-minute changes, our vice president of communications literally watched over my shoulder, nervously checking each word. Our goal was to get our statement out to news media faster than everyone else. We issued our statement about 30 minutes after news of the court decision broke – a remarkably speedy approval for a Fortune 100 company – made possible by advance planning. Since our CEO was the first of 7 to comment, he was quoted first and most prominently in The Wall Street Journal, with a big-type blurb on page B1. To newsjack successfully, monitor breaking news 24 by 7, anticipate future events, prepare, organize a team that can act very quickly as news breaks, and improvise. Even more powerful than newsjacking is news-making. 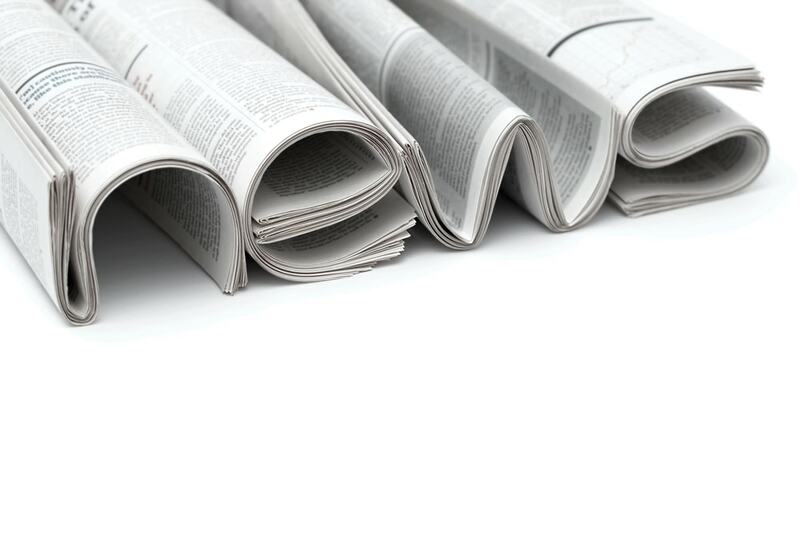 What can you do to propel your company into news headlines? 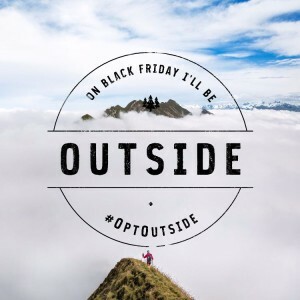 REI arrested attention by launching its #OptOutside movement as an alternative to Black Friday. 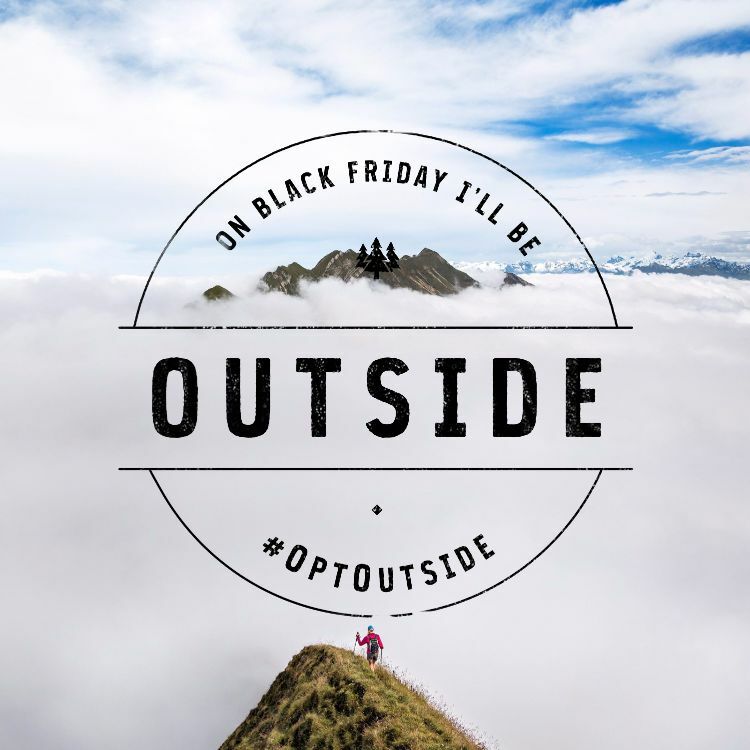 The sports gear company closed all its stores and encouraged customers to go outside instead of going shopping. That surprising, brilliant counterpoint to the usual Black Friday shopping stories won mega-attention. B2B companies successfully employ news-making too. At Tellabs, where we played David in a David-and-Goliath industry, we created newsy content and tied it to major industry trade shows. For example, on the first day of major trade shows, we regularly fielded industry surveys on controversial topics. We asked telecom experts questions like this: Did they expect a major outage on the Internet – a blackout or brownout – in the next 3 years? Nearly half of them did! That made headlines. We compiled and published survey results overnight, enabling a news release on the second day of the show. Other forms of news-making require even more strategy, planning and investment. For example, Tellabs commissioned an industry analyst to study trends in mobile telecom. An analyst took weeks to examine the increasing use of data on mobile phones, the need for carriers to build more infrastructure to handle that data traffic, and the resistance of users to paying more for using more mobile data. 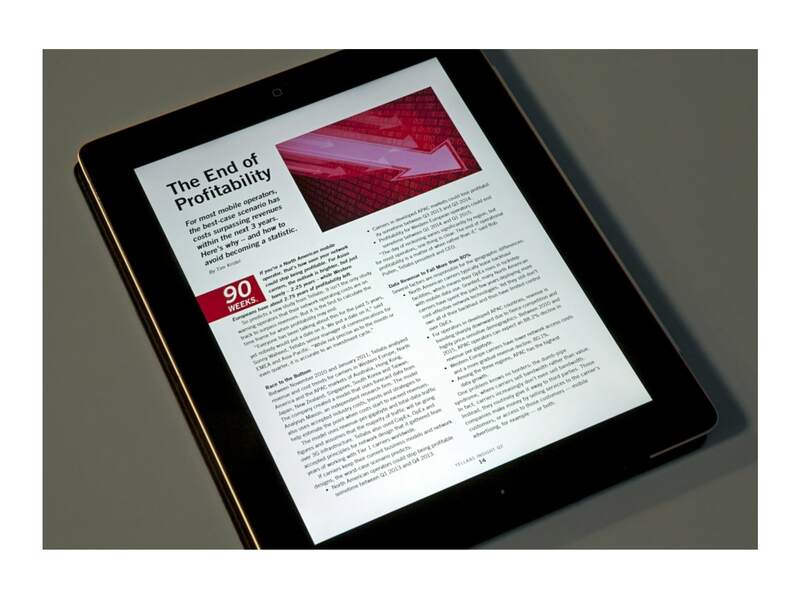 This thought-provoking white paper showed customers the End of Profitability. Weaving those three trends together and extrapolating 2 to 5 years into the future, the analyst forecast “The End of Profitability” for mobile carriers. That shocking headline enabled Tellabs to win attention from news media and customers during the world’s biggest mobile trade show, Mobile World Congress in Barcelona. Not only was the topic controversial, it painted a vivid, scary picture of customers’ future. As we unveiled the story, some industry analysts challenged our data, methods and conclusion. Controversy is fantastic for newsy content! The more controversy, the bigger the story plays in media. We briefed analysts and journalists to gain outsized media coverage. We made content available in many forms – our magazine, a news release, a video, an infographic, a blog and more. The news was so big that we even received calls from customers who had never reached out to Tellabs before – including the CTO office at Telefonica and Google. When customers asked to see the detail of the industry analyst’s study, we made it available – but only through our salesforce. To get the whole story, customers had to meet with sales. Tellabs’ thought-provoking news won a Content Marketing Award. What’s more, we continued to make hay with the profitability story line for another year. Our follow-up stories showed customers how to solve the problem, how to improve profitability by upgrading networks to reduce costs. News-making requires you to boldly create news out of whole cloth. It takes more focus, effort and resources to deliver. With the right story, the payoff can be tremendous. When you don’t want your content associated with a negative news story, use news-shrinking. Here’s an example of successful news-shrinking. For years Tellabs published a quarterly customer magazine named Inspire. When the story about Al Qaeda’s magazine Inspire hit the national news, Tellabs was already at the printer with our next issue of our magazine. On Google, we saw both magazines coming up in searches for “Inspire magazine,” inviting confusion and controversy. Thanks to Al Qaeda, we changed the name of our magazine to Tellabs Insight – overnight. Overnight, we renamed Tellabs’ magazine and redesigned the masthead. 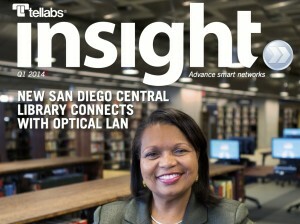 The first issue of the renamed Tellabs Insight appeared later that week. Confusion about the two magazines was nipped in the bud. One said that al Qaeda had contacted us to demand a name change. Not true. Another said that President Obama had called to demand the change. Also not true. Sometimes a Google search is enough to tell you what you need to do. In this case: Act quickly to disentangle Tellabs from the al Qaeda story. Change the magazine’s name to avoid confusion. For content marketers, news can be a force for good or for evil. Here are 9 lessons content marketers can learn from the news media. To make your content fresher and bigger, use newsjacking and news-making. When it’s time to distance yourself from negative news, apply news-shrinking. Together, these approaches keep your content fresh, newsy and unique. Using news in your content marketing is one topic we’ll discuss in my ANA workshop, Fast-Forward Your Content Marketing, April 12 in Chicago.